The Register of Deeds office acts as a recording office only. NC General Statutes specifically prohibit the Register of Deeds or the staff from practicing law. We are unable to supply legal forms, provide instructions on drafting or completing forms or answer questions regarding the legal consequences of instruments filed. We advise you to consult an attorney it you have any legal questions. All documents in the Register of Deeds office become public record once recorded. Public record means that documents are open to be viewed by the public. Do not record any document with private numbers on it, such as a social security number, bank account number, etc. For questions, reference NCGS 132-1.8. There are a number of steps a document goes through when it is brought or mailed in for recordation. The document is first evaluated for recordability and the correct fee is ascertained. It is clocked-in with date and time, given a document number, book and page number, and indexed in the computer system. The indexes are maintained from this information. Each day, the documents are imaged for the record. A copy is sent to the NC Department of Archives for backup and security purposes. After processing is completed, the documents are returned to the appropriate party the next day. If the above requirements are not met, the Register of Deeds shall record the document after collecting the non-standard fee of $25, along with the recording fee. If the instrument is non-standard due to the font size being smaller than 10 pt, the Register of Deeds has the discretion to consider it legible and not charge the non-standard fee. The non-standard fee will not be charged if the acknowledgement date in the notary certificate is prior to July 1, 2002. NCGC 132-1.10 gave Registers of Deeds the authority to redact Social Security and driver’s license numbers from the internet site only. 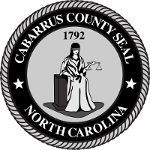 The Cabarrus County Register of Deeds office partners with Logan Systems in the redaction of Social Security and driver’s license numbers from our internet site with numbers beginning with the year 1935 (when Social Security became law). For documents recorded prior to this date, a Public Records Redaction Request can be made by printing out this redaction form and use it to request for the redaction of specific information. The Register of Deeds office has several "time-framed" indexes available. An index is the system by which a document can be located after recording. You may choose to use hard copies or the computerized copies during your visit to the Register of Deeds office. Indexes and images of documents from 1792 to present, and all subdivision plats, condo plats, and NC right-of-way maps can be found on our remote access site. basic concepts of security regulations are more uniform. The filing of a UCC Financing statement is what perfects or secures the loan on consumer goods or personal property. UCC filings are indexed by debtor's name. The Register of Deeds office only records UCCs that pertain to fixtures, like extracted collateral and timber to be cut. All others are recorded at the Secretary of State's office in Raleigh. UCC filings prepared on the standard National or State forms are exempt from the recording standards. Satisfactions are also exempt.